The plans for F. L. Carroll Chapel and Library were announced in 1901, following substantial gifts to Baylor University from F. L. Carroll for the Chapel and Library and from G. W. Carroll for the Science Hall. While the Science Hall is separate from the Chapel and Library, the two buildings are linked in both style and historical significance. 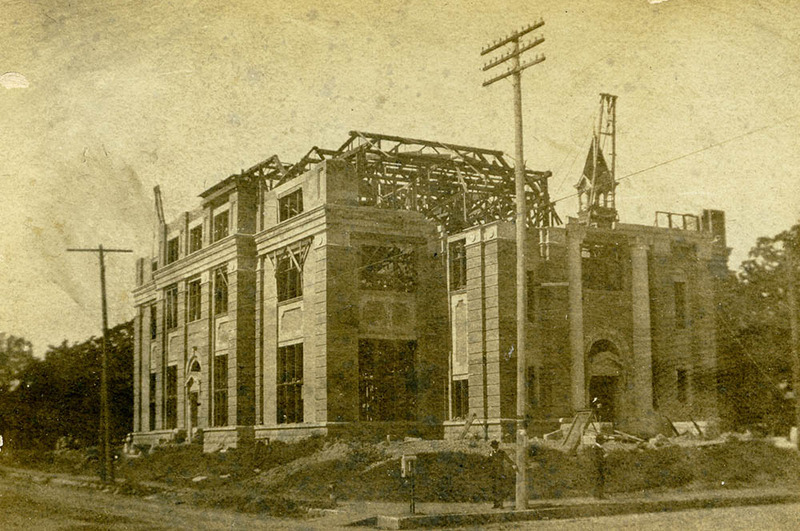 The cornerstones for both buildings were laid February 28, 1902, and their construction was a major landmark in Baylor history, lauded by the student newspaper as the moment when “Greater Baylor Begins.” Construction of F. L. Carroll Chapel and Library was completed in 1903. Period documentation describes the building’s original winding staircases, marble entryways, and seven marble pillars that supported a domed stained glass window. 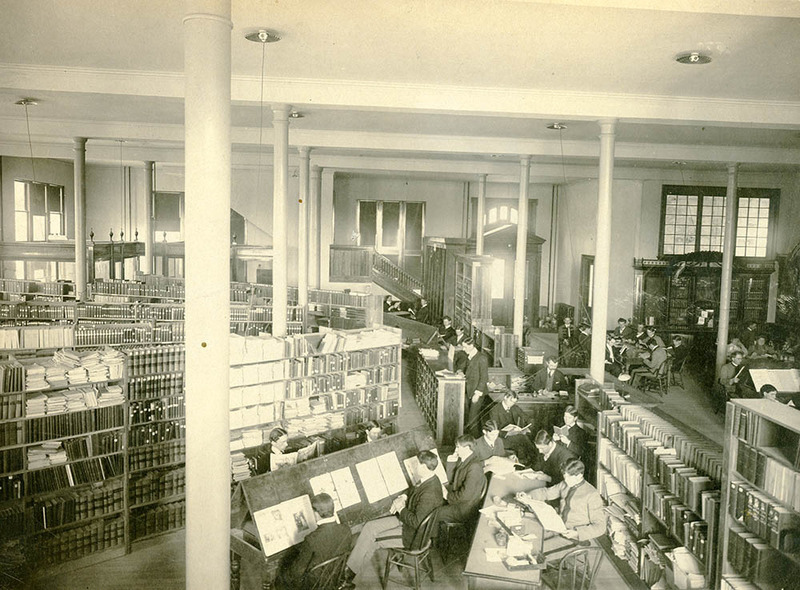 The building housed donated book collections. 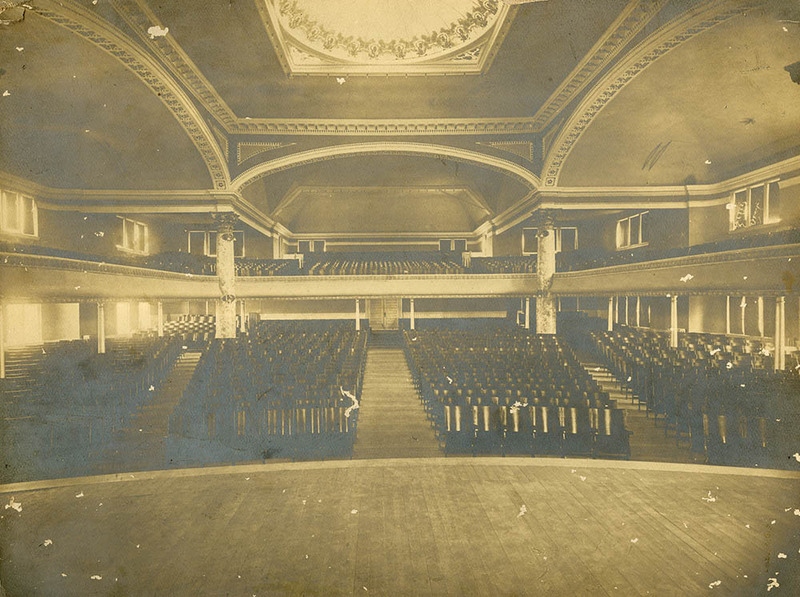 The dome on top of the building covered the chapel area which included an organ purchased by F. L. Carroll. 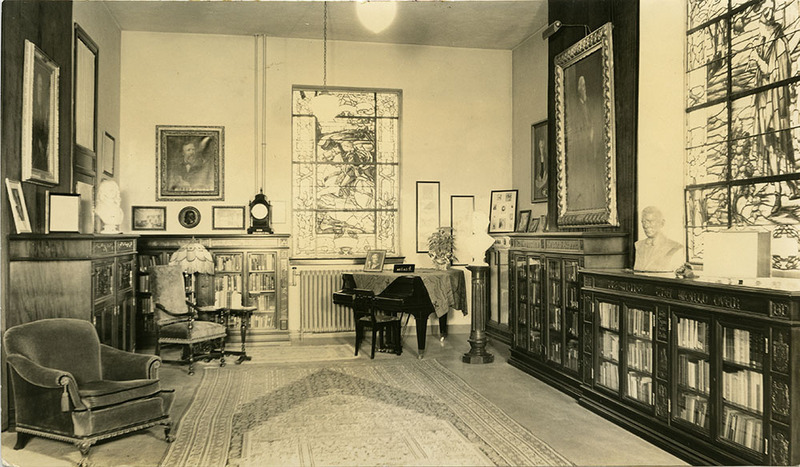 In 1918, the collection of Dr. A. J. Armstrong’s Browning materials was donated to Baylor University and was housed in Carroll Chapel and Library. 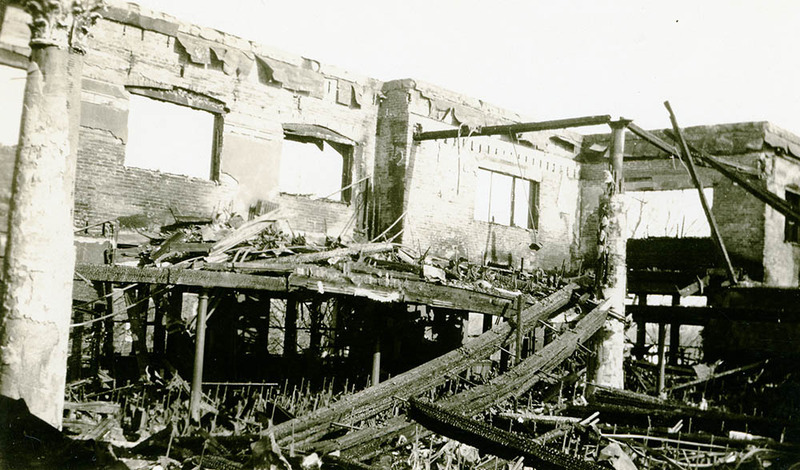 On February 11, 1922 the F. L. Carroll Chapel and Library Building was damaged by a fire that destroyed much of the wooden interior. The Browning collection and many of the books were saved, as was the exterior of the building. 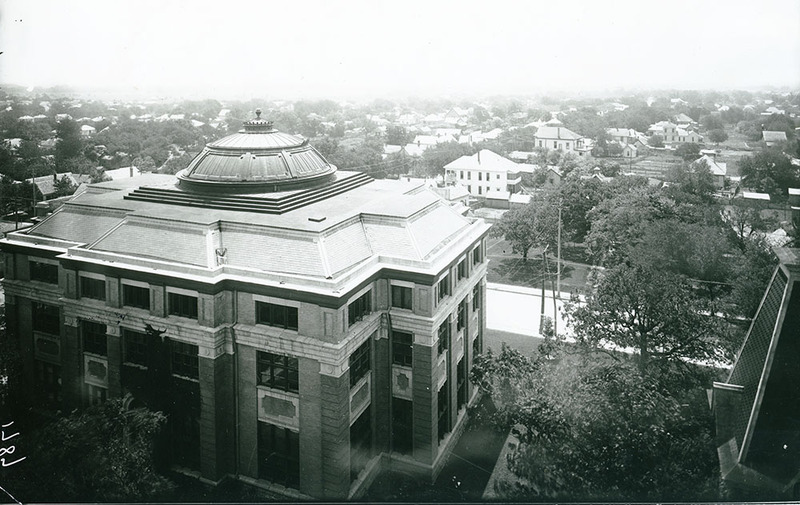 Between 1922 and 1924 the building was reconstructed to house the University’s main library as well as several other smaller collections, including the Browning Collection, the Law School library, and the Texas Collection. The domed chapel was not reconstructed; in its place, a third floor was added. A basement was also added during this reconstruction. The quoin work from the original facade as well as some of the stone string course between the second and third floor are still intact. Throughout the years the building also housed the Strecker Museum, the J. B. Tidwell Bible Library, classrooms and offices for various academic departments, and temporary space for departments whose buildings were being remodeled. After a 1992 hail storm damaged some of the windows, the University decided to remodel the building. The architectural work for the renovations was done by F&S Partners Incorporated from Dallas, Texas, and the contractor was Waco Construction, Incorporated. The landscape architect was J. Robert Anderson from Austin. 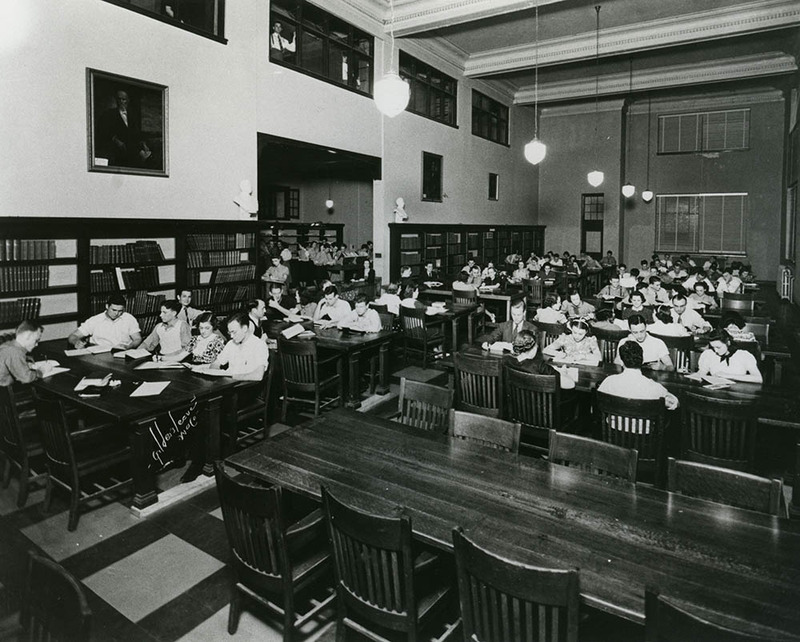 In 1993 the renovations began, and in 1994 the building was once again fully functional, housing such entities as the Institute for Oral History, J. M. Dawson Institute of Church-State Studies, the University Historian, and the Texas Collection. The building was rededicated on February 26, 1994. Amanda Dietz, “F. 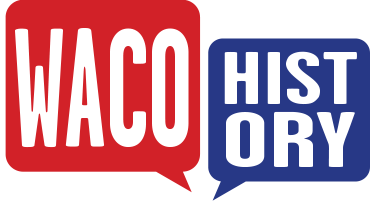 L. Carroll Chapel and Library,” Waco History, accessed April 23, 2019, https://wacohistory.org/items/show/64. “A Great Event Greatly Celebrated: The Corner Stones of Carroll Buildings Laid and Greater Baylor Begins.” The Lariat. March 7, 1902.